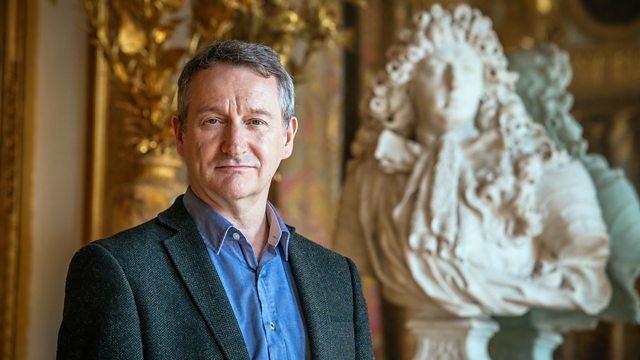 As well as specially shot baroque dance sequences and groundbreaking recreations of 17th-century music, it also follows Bintley as he creates an exciting new one-act ballet inspired by Louis XIV. Danced by 15 members of the Birmingham Royal Ballet, The King Dances features an original score by composer Stephen Montague, designs by Katrina Lindsay and lighting by Peter Mumford and receives its world premiere on television directly after the documentary. Performer: Peter Rostal. Conductor: Ron Goodwin. Performer: Royal Liverpool Philharmonic Orchestra. Performer: Paul Schaefer. Performer: Booker T. & The MG’s. Composer: Paul McCartney. Composer: George Harrison.